Ai-Kon » Happy Canada Day! 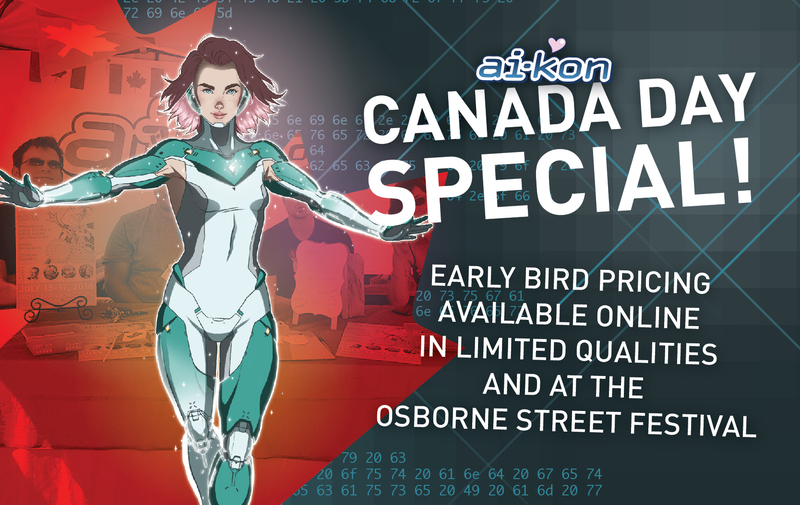 In honour of Canada Day, the first 150 Ai-Kon 2017 weekend passes purchased online today with the code CANADALUVANIME will be at early bird prices! If you missed out on the early bird, you better hurry! If you can’t buy online, come see us at the Osbourne Street Festival! Weekend passes will be at early bird prices all day for cash or card!